Where where you when Eyjafjallajökull erupted? Exactly one year ago, Iceland’s infamous and unpronounceable volcano, Eyjafjallajökull, erupted causing travel chaos across Europe for weeks. At Scott Dunn, we’ve all been reminiscing about where we were when the ash cloud happened. Anna, who recently joined our Africa team, was actually on vacation in Iceland with her photographer partner when the volcano erupted and shares her story with us. “Iceland. Land of frozen wastes, mountains, glacier fields, geysers, and of course the famous Northern Lights. 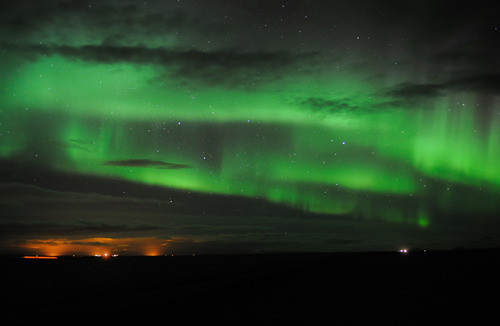 We have been visiting for a few years now, photographing the Aurora in all its glory. 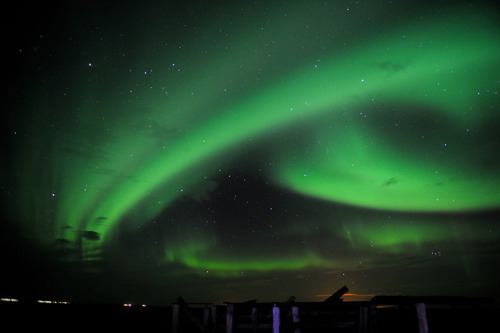 But our most recent trip not only gave us the Aurora, but something else entirely. Our hotel, the Ranga, is a log-cabined haven rearing up from the flat landscape, and a few kilometers from Eyjafjallajokull, the now famous volcano. We would stay up late, set up a bank of cameras and wait for the show to start. Beginning as a sparkling in the corner of the sky, the lights would move rapidly, constantly changing. Occasionally a huge shard of light would streak across the sky, curling in on itself and rippling gently. Bright green turned first to pink and then to an intense purple. Right above us we could see the rippling “curtain” effect, while the tails of the lights danced along the edges of the horizon. But suddenly we witnessed a very different kind of phenomena. We’d been photographing the Aurora most of the evening but the cold had forced me (even wearing over twenty layers!) to take shelter in the warmth of our room. We had been following seismographs of the glacier and volcano with interest, noting the mild but numerous earthquakes which had been occurring. 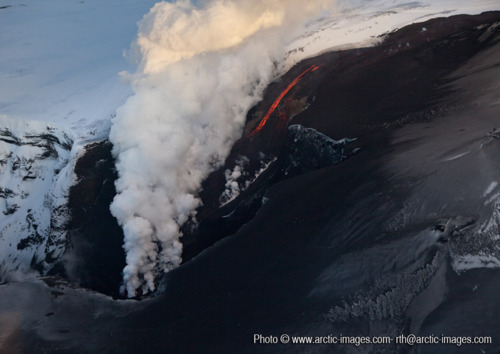 An eruption was “a possibility” but in geological terms this can mean many years away. Hence we were relatively unconcerned. But, just minutes later, Tim burst into the room saying, “The volcano’s erupting! the whole sky is red!” Outside, we could see the bright red glow over the glacier, with a startling epicenter of brightest orange, and even little plumes streaming into the sky. 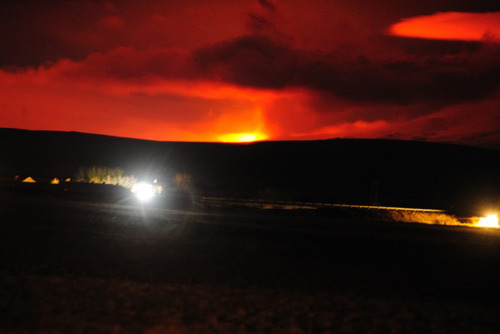 The clouds above the crater were reflecting the power of the released energy, causing the whole sky to be a vivid red. We hurried through to the reception of the hotel and told them what we’d seen, and they immediately phoned the authorities. Very rapidly, roadblocks were set up and police sirens could be heard, and the roads towards the volcano were all closed. We stayed outside taking photographs for as long as we could. Coming soon: Scott Dunn will be launching vacations to Iceland.